A lot of Disney shows from the late 80’s and early 90’s were very well written and this usually resulted in those shows being turned into a movie at some point a classic example is Duck Tales, Duck Tales was an extremely popular cartoon back in the 90’s and it still is very well known today the show its self was about Uncle Scrooge and his three nephews Huey, Louie and Dewey looking for ancient treasures so they can become rich and the movie followed this same premise making it less like a movie and more like an extended episode of the show. 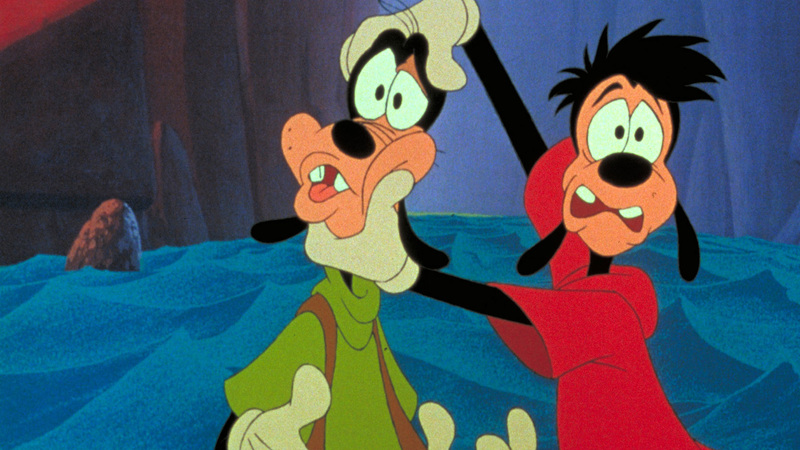 I watched Goof Troop growing up and it was literally about Goofy being a goof ball, his son Max being in High School and the antics of his grumpy neighbour Pete and his crazy family, so I expected the Goof Troop movie to be the same but longer and yeah it has most of that but it also sends a very important message, the importance of family bonding. The movie is essentially that Max is a Teenager who wants to move on with his life making his own decisions and learning from his own mistakes, but his Dad Goofy doesn’t want to lose his son so he keeps being over protective while at the same time constantly trying be with Max, Max manages to get in a lot of trouble at school while trying to impress a girl and not long after this the principle calls Goofy and this causes him to organise a camping trip for himself and Max so that they can bond, but the problem is that Max is supposed to be going to a party with a girl he really likes. 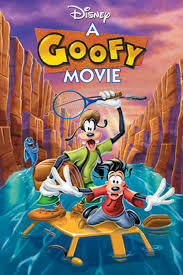 Obviously the camping trip Causes Max to have to cancel the date which results in him disappointing the girl, this causes Max to lie to the girl telling her that he is going to be on stage at the rock concert that’s being streamed live over television at the party, the rest of the movie is just a road trip where Max and Goofy attempt to bond and at first things don’t go too well because Max is still mad that he has to cancel his date, throughout the movie this slowly changes and both Max and Goofy start to get along more due to them sharing time together during activities that they both enjoy for example Goofy sits through a vehicle stunt show which he doesn’t like and Max visits a yarn museum which he finds boring but his Dad really enjoys. things seem to be going really well and then both Max and Goofy fight again, which is great because it shows that these things take time and a few days away together is not going to immediately fix what started off as broken relationship, there’s a really well directed scene near the end of the movie where Max is reading the map and has to decide if he wants to tell his Dad to take a left or a right at a junction where left goes to LA and right goes to the camp site this leaves Max in a difficult situation where he needs to decide what’s more important his relationship with the girl he likes or the relationship between himself and his father, this movie is kind of deep which really surprises me considering that this movie is about Goofy. I think the plot and the message of the movie is brilliant its not often that we get a Disney movie that isn’t talking about some great danger that’s going to happen, or the murder of someone’s parent or how to become a hero but instead shows an issue that is a reality between a lot teenagers and parents and for that alone this movie deserves a gold medal. The animation is nothing spectacular but I don’t really expect much considering that this is not a Disney Classic and I don’t think it even went into theatres so this doesn’t bother me too much, the best way I can describe it is that the animation is very similar to that of the original show but with a bit more polish, more vibrant colours, added shadows and shading, more artistic detail and it genuinely just looks better. I couldn’t really get into any of the musical numbers as they generally just weren’t that interesting and I don’t feel that this movie needed to be a musical because apart from in the final song where Max and Goofy discuss each others true feelings about their relationship none of the songs did anything to progress or benefit the movie, also I kinda wish that more of Pete’s family were in the movie as they are by far my favourite characters from the show and I always felt the Pete and his family were the cause of a lot Goof Troops greatest moments, apart from that this is surprisingly a really good film that spreads a very important message that I believe will benefit both adults and their children. 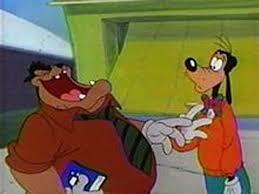 If you haven’t yet seen A Goofy Movie go give it a shot as it may leave you pleasantly surprised.